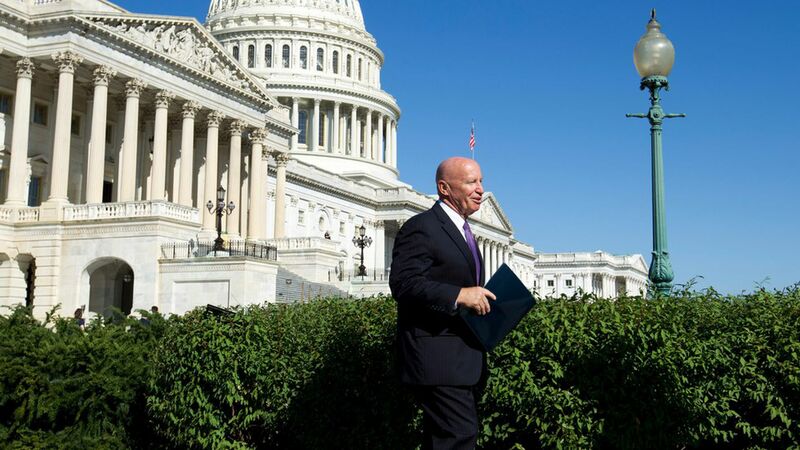 House Republicans unveiled their new tax plan Thursday, and although there will likely be some changes as it moves through Congress, here's who stands to gain and who stands to lose from the current plan. Trump wants to pass the plan through the House by Thanksgiving and through the Senate by late December. Most Americans who take the standard deduction, since it would be doubled from to $12,000 for individuals or $24,000 for families. Parents, since the child tax credit and new family credit would be increased (although the employer-provided child care credit would be repealed and dependent exemptions would be nixed). Small business owners, who will see limits for expensing new business equipment raised, and could pay lower rates. Businesses generally, due to the reduction in the corporate tax rate. Owners of pass-through entities, particularly high-earners like hedge fund managers and lawyers, as the plan allows business owners to have more income classified as business income (and taxed at a lower rate), rather than wages. Corporations with business abroad, since they would be able to get a reduced rate at 12% on overseas earnings on liquid assets, per Politico — although they would face a new 10% foreign minimum tax, which is aimed at companies storing money in offshore tax havens. People with inheritances, since the plan would double the exemption for inheritance taxes and eliminate the tax after 6 years. Wealthy taxpayers, since the plan would repeal of the alternative minimum tax and doesn't change the carried interest rate, which benefits private equity managers and venture capitalists. Families with dependents, since the plan would take away the dependent exemption, per CNBC. People making alimony payments, since that deduction would be repealed. People with student loans to pay off, since the student loan interest deduction could be nixed in the plan. In 2015, more than 12 million borrowers said they took this deduction on their Form 1040, per CNBC. Wealthy, private colleges, since the plan says universities with at least 500 full time students will pay a 1.4% excise tax on annual investment income. More on this impact via Axios' Dan Primack. People who take the medical expenses deduction, including seniors or people with large medical expenses, since the deduction would be repealed. More from Axios' Sam Baker. People with rare diseases, since the credit that encourages drug companies to develop new treatments for those diseases would be repealed. More details via Axios' Sam Baker. People with disabilities and companies hiring them, since the plan would repeal the credit for small businesses that do so. Life insurance companies would lose some tax benefits, per Politico. Electric vehicle companies, due to the eliminated electric vehicle credit. Homebuilders and new homebuyers, since mortgage interest deductions would be capped for new homeowners at $500,000 instead of $1 million. (Current homeowners would be grandfathered in). People rehabilitating old or historic buildings, since this credit would be repealed. People in high-tax states, like New York and New Jersey, since the plan limits deductibility of local property taxes to $10,000 and eliminates the state and local income tax deduction. Charities. Although there are no changes directly to the charitable tax deduction, other deductions are changing — so people may be more likely to take the standard deduction instead, per CNBC. Correction: We took out the third bullet in the Winners list on startup employees since the provision, which would allow a deferral on taxes for exercised options without a liquid market to sell them, is not yet in the bill. It's expected to be added during markups in the coming days.